It’s a conference room typically reserved for regimented business meetings, but on this winter day, the space transformed into a playground for a small group of sales associates. Each carefully bends and conjoins pipe cleaners in order to build a menagerie of animal figures and trees. The undertaking isn’t simply an opportunity for distraction, however. In this case, the participants, who are taking part in a workshop by the sales training firm PJ Nisbet & Associates, are getting a lesson in kinesthetic learning. The idea is to help sellers use tactile experiences in future presentations with would-be buyers. Welcome to the world of sales performance improvement, where clients look for whatever edge they can get in order to gain an advantage over the competition. For the consultancy, which is based in Cambridge, England, United Kingdom, raising top-line numbers is mission number one. That companies are looking to give their sales teams a leg up is, perhaps, no big surprise. The ability to generate leads and to convince customers to buy a product or service is the lifeblood of most businesses. “It doesn’t matter how good the rest of the organization is. If the sales team is not functional, you are not generating revenue, so the rest is irrelevant,” says Nisbet, who founded the company more than a decade ago. Often, the heart of the sales process is an interpersonal relationship between seller and potential buyer. Through workshops and e-learning modules, Nisbet’s firm tries to help professionals understand how to identify their best prospects and to get those individuals to buy into their offerings. The company, which recently earned a Bronze Stevie® Award for Sales Training Practice of the Year, offers what it says is an easy-to-use, repeatable sales method. Clients can use this to secure more prospects at the top of the sales funnel, to qualify them in or out, and, ultimately, to close more purchases with higher profit margins. One of the program’s core objectives is to help participants articulate their organizations’ strengths so they don’t have to put in rock-bottom quotes to seal deals. “We enable salespeople to sell on value—not price,” says Nisbet. A seasoned business executive with a degree in organizational behavior, Nisbet launched the eponymous sales training firm in his native South Africa in 2006. He eventually relocated it to the United Kingdom, but he still does a lot of business back home. Presently, 50 percent of his clients are in the United Kingdom, and 10–15 percent are in Africa, with the remainder spread throughout Europe and the rest of the globe. The company has taken on some big-name clients over the years, including Dunlop, Deloitte, and the investment giant J.P. Morgan. Instilling a companywide training philosophy at a global business presents certain logistical difficulties, but Nisbet seems to relish the challenge. In an age when most big companies are using one or more software platforms to manage the sales funnel, Nisbet says the flexibility of his company’s approach is a key to its success. His team is also willing to use a shared risk–reward model, which reduces up-front fees in exchange for a share of the client’s future profits. In a couple of important ways, Nisbet suggests the stakes are higher than ever when it comes to training salespeople. For one, more customers are doing preliminary research online. This means they’re more knowledgeable when they first engage with sales reps. Secondly, purchase decisions have become more complex in the wake of the Great Recession, with stakeholders from finance, quality, compliance, and other parts of the organization getting more involved. For PJ Nisbet & Associates, though, that’s also an opportunity to help those professionals adapt to a different selling climate. “Today’s salesperson must be more consultative and better informed to guide buyers and influencers through the process and to help them to ask the right questions. It’s no longer about just showing up with a great product and pitching its attributes,” says Nisbet. 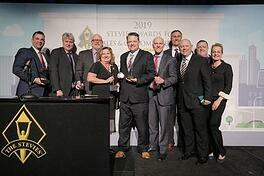 Winners in the 13th annual Stevie® Awards for Sales & Customer Service, recognized as the world's top customer service awards and sales awards, were unveiled on Friday night at a gala ceremony in Las Vegas, NV, attended by more than 700 executives from around the world. DP DHL, with Gold, Silver, and Bronze Stevie Award wins for activities in Canada, Ecuador, Kenya, the U.S., Vietnam, and other nations, was the most honored organization this year, earning the top Grand Stevie Award trophy for the sixth consecutive year. Other Grand Stevie Award winners, in descending order, include IBM, HomeServe USA, Sales Partnerships, Inc., VIZIO Inc., Delta Vacations, ValueSelling Associates, Dell Technologies, GuideWell Connect, and Cvent. DP DHL won 11 Gold Stevie Awards, the most in the 2019 competition among Stevie Award winners. Among other winners, winners of three Stevie Awards include: American Airlines, EFG Companies, Teleperformance D.I.B.S, and Holiday Inn Vacations. Winners of two Gold Stevie Awards are: Birevim, Bose, CarrefourSA, Chorus.ai, Comcast, Delta Defense, Employment Background Investigations, Inc., MarketBridge, Nextiva, Qurate Retail Group, RAIN Group, VXI Global Soluations, and WNS (Holdings) Limited. Leaders among multiple winners of Gold, Silver, and Bronze Stevies include: Allianz Global Assistance, Autosoft, Inc, Cross Country Home Services, Delta Defense, Druva, Inc., Electronic Arts, First American Database Solutions, FIS, GoDaddy, iHeartMedia, Inc., John Hancock Financial Services, KT, Liveops, Mailchimp, Michael Kors, MRO Corp, Municipality and Planning Department, Nextiva, Nuance Communications, Offerpad, Overstock.com, Periscope Data, Pushpay, QNB Finansbank, Response, Rimini Street, TCL USA, TTEC, UPMC Health Plan, Visualize, Vivint Solar, VIZIO, VXI Global, Wells Fargo Treasury Management Client Delivery, and Wyndham Destinations. Winners in the People’s Choice Stevie® Awards for Favorite Customer Service, as determined by more than 76,000 public votes were also presented at the event. The presentations were broadcast live via Livestream and are available to watch online. The awards are presented by the Stevie Awards, which organizes several of the world’s leading business award shows including the prestigious International Business Awards® and The American Business Awards®. Stevie Awards are conferred in seven programs: the Asia-Pacific Stevie Awards, the German Stevie Awards, The American Business Awards®, The International Business Awards®, the Stevie Awards for Great Employers, the Stevie Awards for Women in Business, and the Stevie Awards for Sales & Customer Service. Stevie Awards competitions receive more than 12,000 entries each year from organizations in more than 70 nations. Honoring organizations of all types and sizes and the people behind them, the Stevies recognize outstanding performances in the workplace worldwide. Learn more about the Stevie Awards at www.StevieAwards.com. 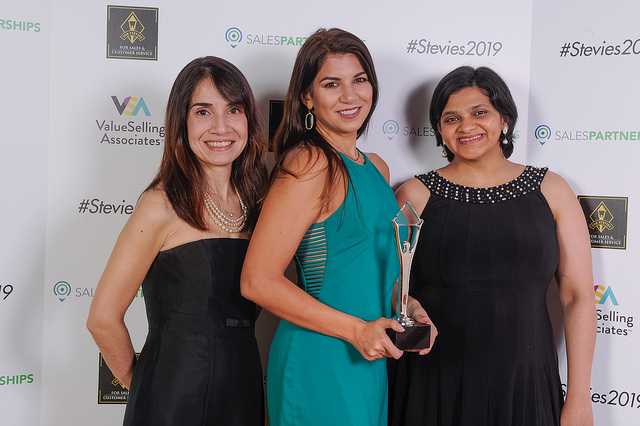 Sponsors and supporters of the 13th annual Stevie Awards for Sales & Customer Service include HCL Financial Services, Sales Partnerships, Inc. and ValueSelling Associates, Inc.
Who's Coming to the Stevie Awards for Sales & Customer Service on Friday? A record gathering of more than 700 business development, customer service, and sales professionals from around the world will convene in Las Vegas, Nevada this Friday, February 22 for the presentation of the 13th annual Stevie® Awards for Sales & Customer Service, the world's top honors for achievement in those disciplines. 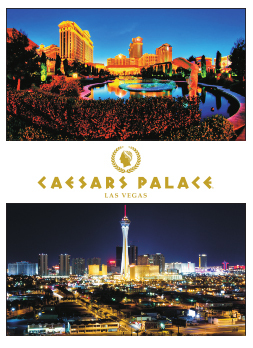 The setting will be the Augustus Ballroom of Caesars Palace. Tickets for the event are on sale through Wednesday. More than 2,700 nominations from organizations of all sizes, in virtually every industry, in 45 nations were evaluated in this year’s competition. Finalists. announced last month, were determined by the average scores of more than 150 professionals worldwide in seven specialized judging committees. The Gold, Silver, and Bronze Stevie Award placements from among the Finalists will be revealed during Friday's presentations. 10 Grand Stevie Award (best in show) trophies will also be presented on Friday, as well as the crystal People's Choice Stevie Awards for Favorite Customer Service, whose winners were announced last week. Learn more about the Stevie Awards for Sales & Customer Service at www.StevieAwards.com/Sales. Here is the list of organizations that have already reserved their places for Friday's awards gala. 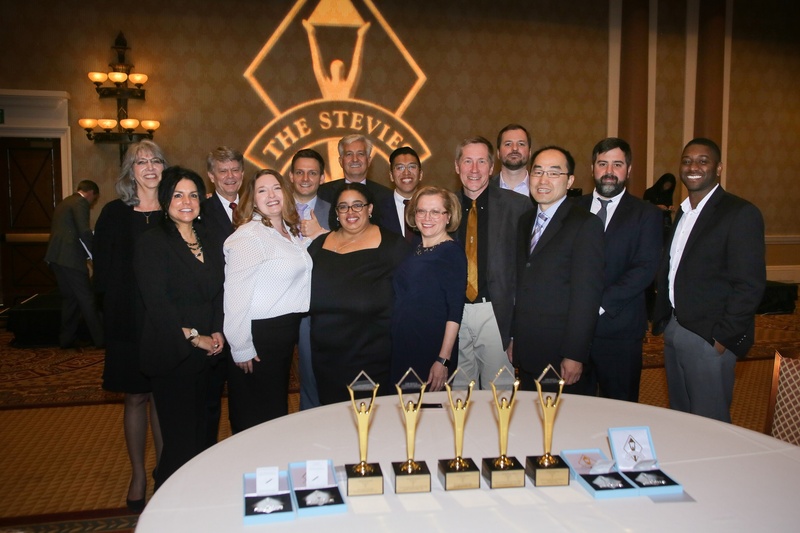 The Stevie® Awards, organizer of the world’s premier business awards programs, has issued a call for entries for the 2019 (13th annual) Stevie Awards for Sales & Customer Service. Entry kits and complete details on the competition are available at http://www.StevieAwards.com/Sales. All customer service, contact center, business development and sales departments, teams and professionals worldwide are eligible to be nominated, in addition to new products and services and solution providers used by those professionals. The 2019 awards will recognize achievements since July 1, 2017. The early-bird entry deadline with reduced entry fees is October 17, 2018. The final entry deadline is November 14, but late entries will be accepted through January 10, 2019 with payment of a late fee. Finalists will be announced in mid-January, and the Gold, Silver and Bronze Stevie Award placements revealed during a gala awards banquet on February 22 at Caesars Palace in Las Vegas. New categories for the 2019 competition include Woman of the Year in Sales and in Customer Service. Among other new Sales Awards categories include Account Management Team of the Year, Sales Diversity and Inclusivity Initiative of the Year, Sales Recruitment Initiative of the Year, Social Selling Initiative of the Year, and Sales Distinction of the Year - Consumer Products & Services. There are four new awards for Innovation in Customer Service including Best Customer Feedback Strategy, Best Customer Satisfaction Strategy, Best Return on Customer Service Investment, and Best Use of Customer Insight. The new Customer Service Department of the Year category is for Consumer Products & Services. Among the new categories for New Products & Services are CRM Suite - Enterprise - New and New Version, CRM Suite - Mid-Market – New and New Version, CRM Suite - Small Business – New and New Version, and Sales Performance Management Solution - New and New Version. 2019 will see the return of the People’s Choice Stevie Awards for Favorite Customer Service, a popular feature of the Stevie Awards for Sales & Customer Service in which the general public may vote for their favorite providers of customer service, from among all finalist nominations in the Customer Service Department of the Year categories. Winners of the 2018 edition of the Stevie Awards for Sales & Customer Service included Carbonite, Care.com Homepay, Chewy, CubeSmart, Dell Technologies, DHL Express Bangladesh, FieldEdge, John Hancock Financial Services, Loop Communications, Standard for Success, TravelZoo, and Zelis Payments, among others. The 2019 competition will be judged by more than 150 professionals around the world. Over one trillion dollars are spent annually on technology and IT services. Three software engineers went against the fastest-growing technology corporations in the world, like Google and Adobe Systems, and succeeded in claiming their piece of the global tech pie. Druva CEO and founder, Jaspreet Singh, anticipated the software management shift into the cloud, and developed cloud-based programming to organize, centralize, and protect information for businesses. Singh even pitched Druva’s cloud-based solution to NASA, who refused it at first because they did not believe software management would move to the cloud. But, Singh was right. Druva became a first mover in a cutthroat industry, and its information software solutions propelled the company into the global market in less than 10 years. In Pune, India in 2008, Singh and two other engineers started Druva. The company provides data management and security service solutions for businesses. 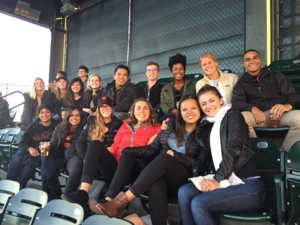 While many new businesses flounder in their initial months, this team grew to an impressive seven employees and 53 clients by the end of their first year. Since its inception, Druva has worked to connect and to protect business data on servers and drives accessed from multiple mobile access points, such as smartphones and laptops, by employees on the move. Druva worked to stay ahead of the technology innovation curve and became one of the first providers of cloud-based data management and security software. The software helps aggregate data, then unifies the backup, disaster recovery, archival, and governance capabilities onto a single, optimized data set. It may sound complicated, but Druva simplifies a common business conundrum: Who has the information to complete the task, and how does the responsible employee access it? Placing servers, backups, and archives in the cloud means all data is in one place. Access is simple, trackable, and transparent, and information is readily accessible and visible to employees but protected from bad actors in the cyber landscape. Having the information in one location and limiting and restricting access makes the data easier to protect and to preserve. By reducing risk and simplifying processes, most businesses experience a great cost savings. Druva’s cloud management includes security-based data mining and other information governance options. This is useful, for example, when seeking archived legal records. With this increasing shift to the cloud, however, there has been a shift in responsibility. Excellence and innovation in customer service are part of that new model and solution. 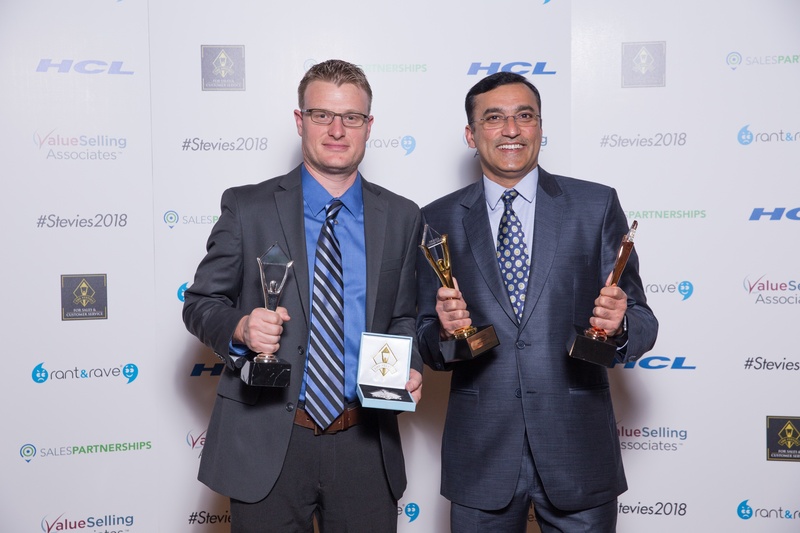 Druva received seven Stevie® Awards in the 2018 Stevie Awards for Sales & Customer Service for their excellence and innovation in customer service in the Technology and Computer Software Industry categories. Druva now services more than 4,000 diverse companies, both domestic and international. This includes major corporations and agencies, such as NASA, General Electric, Marriott Hotels, AIG, Deloitte, Pfizer, Black & Decker, McAfee, Live Nation, and Hulu. They are headquartered in Sunnyvale, California, United States, and employ 400 team members across the world. They currently have offices in Germany, United Kingdom, Singapore, Japan, and India. Through hard work and dedication, the small start-up from Pune, India, has now become a global leader in cloud data protection and management. As the technology industry races onward, a resilient business model and a flexible customer service team are imperative to success. In all they do, Druva highlights their core values: to embrace hard work, to strive for consistent performance, to work as a team, to collaborate to innovate, and to work with a customer-first attitude. “The entire Druva team is energized to be part of winning groups,” says Druva employee Sunil Wadhwa. Increased efficiency. Unified processes. Lower costs. This combination of benefits has led to rapid growth for SmartLinx. The U.S.-based company provides a workforce management suite that helps organizations, including long-term and post-acute care facilities, simplify everything from hiring and payroll to scheduling and time recording. Among the organizations that saw substantial results from the SmartLinx universal software solution is the Parker Jewish Institute for Health Care and Rehabilitation. The New York, New York, United States, senior living facility was suddenly able to make payroll more efficient and streamline employee work practices within one platform. Ultimately, this saved the company hundreds of thousands of dollars in labor costs. Numerous organizations have experienced similar results across the United States. Oriol, a health care agency in Massachusetts, United States, was able to slash inefficient overtime costs. The Greek Rehabilitation and Care Center near Chicago, Illinois, United States, was able to reduce a process from 60 reported work hours down to just two minutes. Outcomes like this consistently help SmartLinx achieve high user retention rates and average more than 50 percent annual growth. SmartLinx was also the first software company to offer a complete solution for Affordable Care Act compliance, and the company routinely expresses a commitment to staying ahead of all ACA regulations. While health care and senior living facilities are a core part of the company’s business, its software also serves the needs of government agencies, hospitality programs, and manufacturing enterprises. With the SmartLinx software, companies are able to unify their processes and departments and make them more efficient, saving them significant money in the process. SmartLinx was founded in 2000 and maintains 100 staff members. It operates from its headquarters in Edison, New Jersey, United States, and has a support center in North Charleston, South Carolina, United States. A personal approach with their partners only improves business relationships and increases success for SmartLinx, according to CEO Marina Aslanyan. The company’s laser focus on customer service, which includes using scorecards to enable customer health monitoring and value confirmation, earned it the Bronze Stevie® Award for Best Use of Technology in Customer Service in the Computer Industries category. It is not, however, the first time SmartLinx has crossed the stage at a Stevie Awards ceremony. In 2017, the management team won a Bronze Stevie Award for Innovation in Customer Service. In 2016, the firm earned a gold Stevie for Customer Service Management Team of the Year. The company’s commitment to creating a satisfying user experience made this latest accolade all the more special, according to Darcy Grabenstein, a content manager at SmartLinx. Two SmartLinx customer support team members also earned individual awards in the Stevie Awards for Sales & Customer Service this year. Thomas VanAntwerp, a customer support team leader, won the gold award for Young Customer Service Professional of the Year in the Technology Industries segment, and Brandon Tahquette, a customer support specialist, won a silver award as Front-Line Customer Service Professional of the Year. The leadership team consistently ensures innovation and diversity are part of the company’s culture. Grabenstein says the team regularly evaluates and advances technology concepts; targets industry challenges, such as those evolving in the ACA, senior care, and health care fields; and encourages growth, training, and sharing perspectives in the workplace. This fosters a healthy working environment and company growth. There’s tailgating, and then there’s tailgating. Meet MAXimus. He’s a 72-foot tractor-trailer outfitted with an elaborate kitchen, self-leveling stage, three giant screens, and multiple high-definition cameras. All this combines to create the ultimate go-anywhere culinary experience. 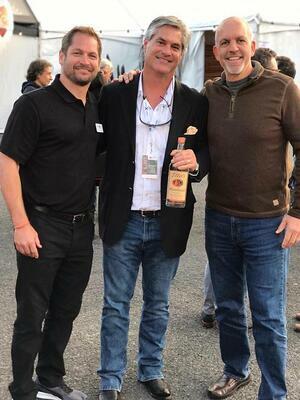 MAX (short for “mobile activation x-perience”) drew huge crowds at several culinary festivals, and it even became a favored playground for the likes of Food Network host Jeff Mauro. Chef Gordon Ramsay saw MAX as the perfect sidekick for his show 24 Hours to Hell and Back, which debuted this summer on Fox, the popular US network TV channel. To the experiential marketing firm that created MAX, he means even more than that; he’s the future. The U.S.-based Innovative Group (IG) developed the colossal cooking rig as part of its effort to push the envelope and to develop new revenue streams. With offices in Miami, Florida, United States, the company specializes in providing immersive marketing experiences, and they have close to two decades of experience doing so. The team developed a virtual reality program for Universal Studios locations, and they helped American Express engage audiences in Las Vegas by hiring a local illusionist to use its credit card in a physics-defying display. Its solutions have appeared everywhere from Super Bowl LI in Houston, Texas, United States, to the Major League Baseball All-Star Game last year in Miami. The company, now with 87 employees, prizes outside-the-box thinking as part of its DNA. Its management team, however, wanted to take this a step further and encouraged employees to create an entirely new offering capable of shaking up the industry. 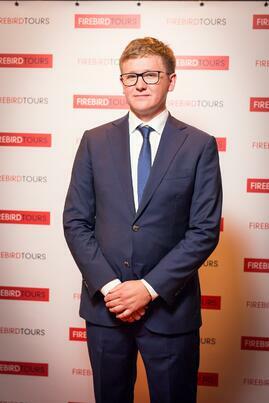 The result was three unique mobile assets the company can rent out to marketers for events and even TV programs. In addition to MAX, the team dreamed up DRAFT (the “dynamic restaurant aboard fire truck”). This features two huge Southern Pride smokers, a flattop grill, and 12 beer taps. Rounding out the fleet is GameDay Traditions (GDT), a hospitality platform that gives event and festival guests the VIP treatment with its homey atmosphere and luxurious amenities. The bold investment proved to be a huge success. IG evolved from a service-only agency to a company with $2 million in rentable assets—a category that continues to grow. It also helped the company, founded in 2000, earn a Gold StevieⓇ Award for Business Development Achievement of the Year in the 2018 Stevie Awards for Sales & Customer Service. Shattuck says the IG staff members discovered the Stevies while Googling prestigious award opportunities where they could submit the game-changing program. Dunbar sees the company leveraging this new accolade as a powerful marketing tool.